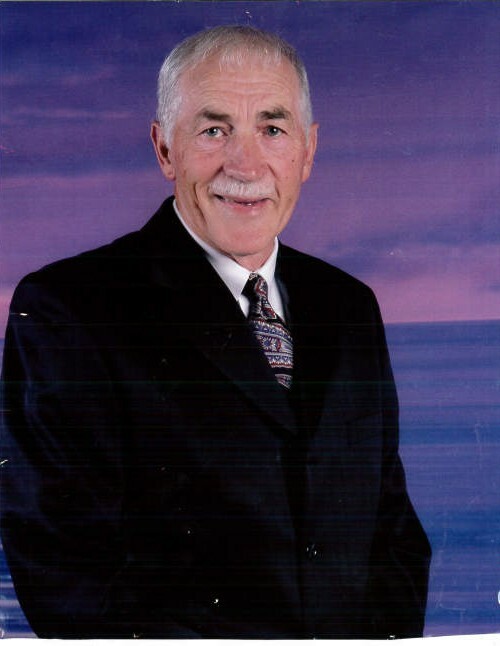 Mr. Bobby Dean Atkins, age 74, of Mt. Airy, NC, went home to be with the Lord on Tuesday, February 12, 2019. He was born in Surry County, NC to the late Robert “Woltz” Atkins and the late Vena Lowe Atkins on October 6, 1944. In addition to his parents, Mr. Atkins was preceded in death by a brother, Larry Wayne Atkins. Mr. Atkins was a retired teacher and basketball coach who worked for the Surry County School System for thirty years. He was a member of Roaring Gap Baptist Church, where he served as the adult Sunday school teacher for over 32 years. “Papa Da,” as he was lovingly known by his grandchildren, was a farmer, cattleman, avid fisherman, member of the North Surry Sports Hall of Fame and North Carolina 2AA Basketball State Championship MVP in 1963. If he wasn’t giving his grandkids rides on the tractor, then he was watching after his little brother, Jimmy, whom he loved dearly. Left to cherish his memories are his wife, Sherri Grimes Atkins; sons and daughters-in-law, Travis and Jenny Atkins of Mt. Airy, NC and Corey and Heidi Atkins of Asheville, NC; grandchildren, Kellan Atkins, Samuel Atkins, Madelyn Atkins and Shep Atkins; sisters and brother-in-law, Faye and William Goings and Mary Ann Atkins; brothers and sisters-in-law, Gray and Betty Atkins, Barnard and Linda Atkins, Joe and Lonette Atkins, Jimmy “Casey” Atkins; several nieces and nephews, grand-nieces and grand-nephews; and the mother of his children, Patsy Creasy Atkins. Visitation for Mr. Atkins will be Thursday evening, February 14, 2019, from 6:00 – 8:00 pm at Moody-Davis Funeral Home. A memorial service will be held on Friday, February 15, 2019, at 11:00 am in the chapel at the funeral home, with Rev. Joe Atkins officiating. In lieu of flowers, the family requests memorials be made to Roaring Gap Baptist Church, PO Box 304, Lowgap, NC 27024.